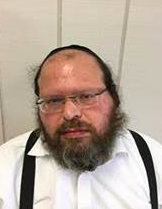 Two Kiryas Joel residents pled guilty to misdemeanor tax fraud in the Orange County Town of Monroe in mid-December for failing to pay over $780,000 in sales tax the men collected but pocketed instead of paying. Concrete on Demand and Copour have offices in the Village of Kiryas Joel, while the third company, Comix, has offices in the Village of Sloatsburg. The two principals, David Gross and David Friedman, pled guilty to misdemeanor criminal tax fraud and sentenced to a three-year conditional discharge by Judge Robert Freehill—and to repay the state the funds they pocketed immediately. Gross handed over a check for nearly $319,000 owed by Concrete on Demand while still in court. Friedman paid the balance owed by Compour and Comix at the Orange County District Attorney’s Office. In addition, Freehill sentenced Concrete on Demand’s principal, David Gross, a fine of $2,500 in court and will impose sentence on his partner, David Friedman on Friday, January 12. Additional charges may be brought against the two by the NYS Tax Department for willfully neglecting to pay their taxes.